CHESTERTOWN, MD—Violinist Nabeel Abboud Ashkar will be the special guest Friday, September 7 as the Washington College Music Department kicks off the second season of its popular “12@Hotchkiss” lunchtime concert series on campus. The free public performances, which are hosted at noon in Hotchkiss Recital Hall on the first Friday of each month during the academic year, feature acclaimed musicians from the Baltimore-Washington metropolitan area. Ashkar, a Palestinian native of Nazareth, has earned international praise for bringing young Arabs and Jews together through music. 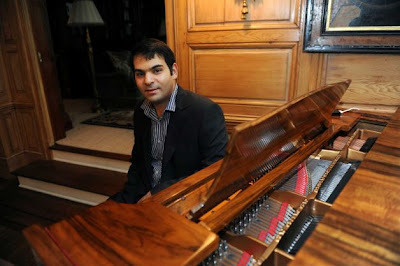 He founded the Polyphony Conservatory in Nazareth in 2006 with support from the Barenboim-Said Foundation. In 2011, he helped found the Polyphony Foundation and launch the Polyphony Youth Orchestra. He will receive an honorary Doctor of Arts degree from Washington College during Fall Convocation on Thursday, September 6. Hotchkiss Recital Hall is located in the Gibson Center for the Arts building at Washington College, 300 Washington Avenue. 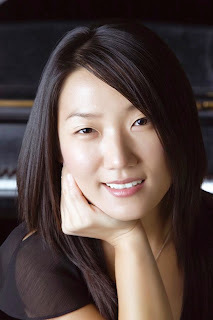 For more information on the 12@Hotchkiss series, please visit the Music Department website at http://music.washcoll.edu, or contact series director Grace Eun Hae Kim at gkim2@washcoll.edu. free lunchtime series on campus. The community is welcome. It was lovely, thank you.